From a Shakespearian tragedy to a survival story on the Western frontier to a landmark collaboration between two Atlanta creative figureheads, the 2014 dance scene offered performances as diverse as the city itself. Opinions among ArtsATL dance critics can be equally varied; in recapping the year’s highlights, we’ve shared some of our divergent points of view (in chronological order), plus a few “Bests” on which we pretty much all agree. The dance writers weighing in are dance editor Cynthia Bond Perry, Gillian Anne Renault, Kathleen Wessel, George Staib, Andrew Alexander, Rachael Shaw and Scott Freeman. Atlanta Ballet’s Roméo et Juliette, choreographed by Jean-Christophe Maillot, was not only the company’s best performance of the year, it was one of most visually stunning productions we’ve ever seen. Stark white walls towered above the stage, an abstract castle or balcony but also a symbol of the insurmountable divide between Shakespeare’s star-crossed lovers. Christian Clark and Alessa Rogers in the lead roles delivered grown-up chemistry with a hint of sweet adolescence, and Maillot’s choreography achieved emotional weight without relying on pantomime. 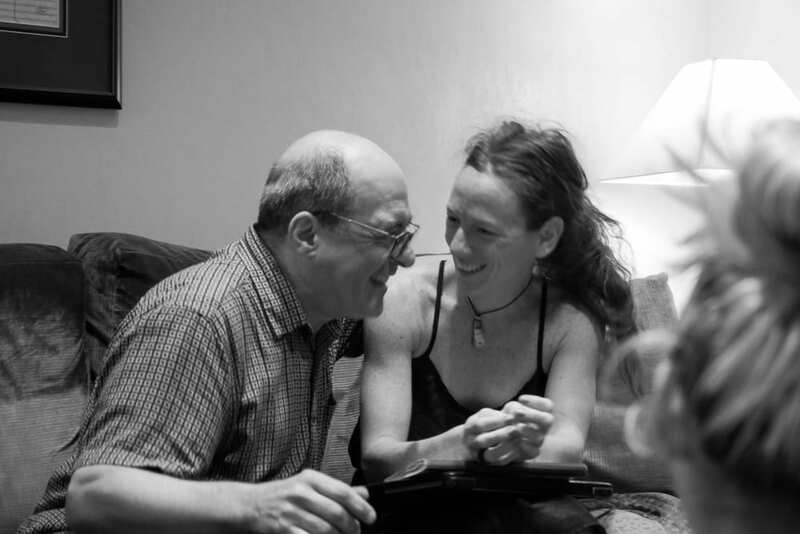 The company’s final Atlanta performance was bittersweet for Rialto director Leslie Gordon, who first saw TMP perform at Jacob’s Pillow Dance Festival seven years ago when it was just a summer pick-up troupe. She booked them on the spot and has since presented McIntyre’s company four times, keeping Atlanta abreast as the company went full time and toured nationally and internationally from its home base in Boise, Idaho. Mercury Half-Life paid tribute to the music of Queen and Freddie Mercury. The thing about chemistry between two people is that it’s impossible to describe, yet you recognize it immediately when you see it: Bogie and Bacall, Grant and Hepburn, Clooney and Lopez. The screen starts to smolder whenever the two (usually star-crossed) lovers appear together. Alessa Rogers and Christian Clark brought some old-fashioned chemical power to their roles as Juliette and Romeo in February. 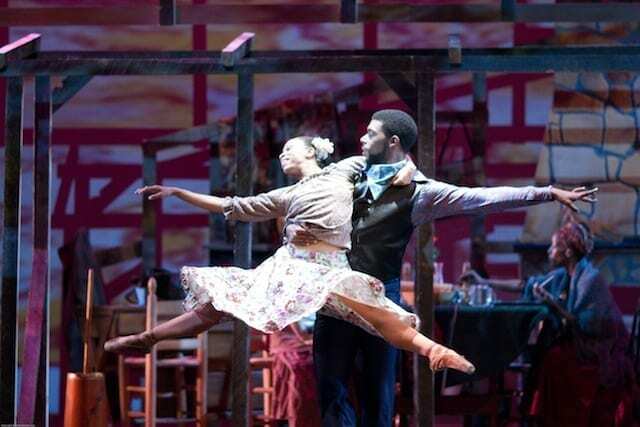 It represented star-making roles for both as we watch a new generation at Atlanta Ballet preparing to take its place. Conceptual artist and choreographer Lauri Stallings is uncomfortable with the idea of performance and the them-and-us / performer-and-audience dynamic it sets up. She prefers integrating movement into communities and neighborhoods. But when she embraced performance in September with the world premiere of cloth at the Goat Farm Arts Center’s Goodson Yard, we were bowled over. 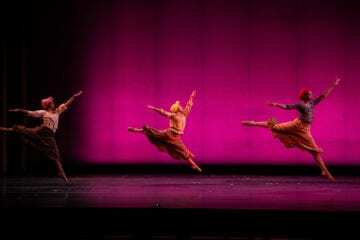 It was a stunning collaboration between her, the dancers of her company glo, and Robert Spano, music director of the Atlanta Symphony Orchestra. Injuries are often a way of life for professional dancers, who are vastly underappreciated for their athleticism. 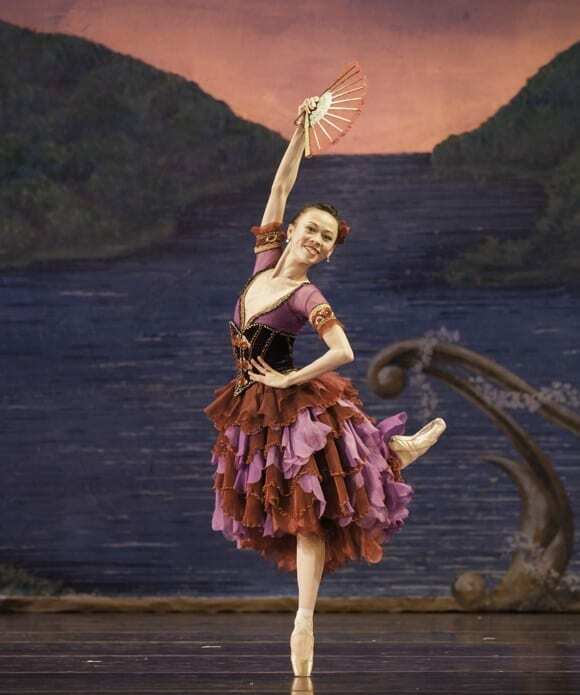 Peng-Yu Chen was on something of a roll as the 2012–13 season opened with Atlanta Ballet’s Nutcracker. Peng-Yu’s talent for modern dance had propelled her to be one of Dance Magazine’s “25 to Watch” in 2007 when she was with the American Repertory Ballet. Yet with Atlanta Ballet, Peng-Yu had hovered as a middle-tier company member. Then came her captivating performances in Helen Pickett’s Prayer of Touch and Jorma Elo’s 1st Flash in 2012. Kyle Abraham, left, is a 2013 MacArthur Foundation fellow. There’s nothing quite like a glo event, and the one at MOCA GA on December 4 was no exception. It was a stunning example of movement, art, photography, a standing and walking audience, paper sculpture and sound all coexisting, each enhancing the other. 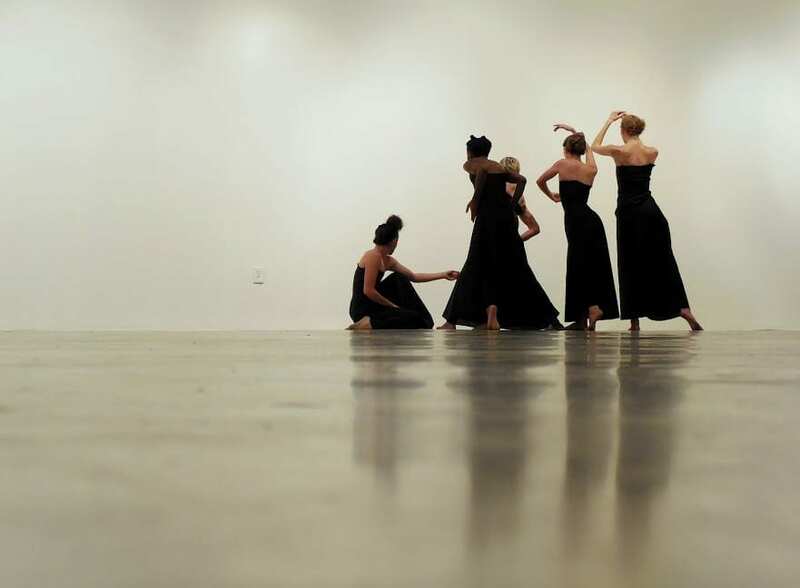 It began with the dancers, in long black gowns, inhabiting the “white box” of MOCA’s largest gallery, empty of visual art that night. They moved through what glo founder Lauri Stallings calls migrating choirs and anthems, at times in tight blocks, at other times exploding into runs around the space. They led viewers to art exhibits in a second and third gallery, and a space between galleries where Thom Baker’s photography triumphed. The year wrapped up with a performance by former Batsheva Dance Company star Danielle Agami’s Los Angeles–based Ate9 Dance Company. 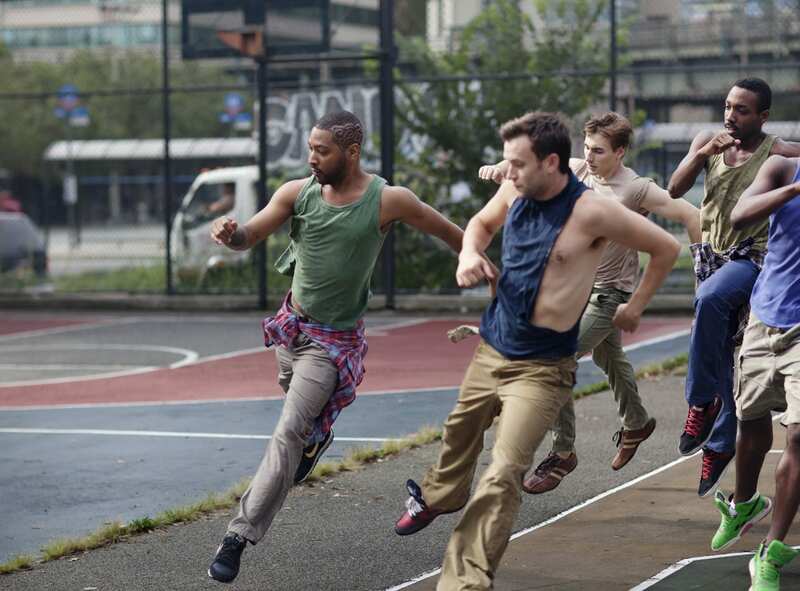 Tanz Farm series 2 presented a number of entry points into the Israeli choreographer’s work including two master Gaga classes and the Atlanta premiere of Mouth to Mouth at the Goat Farm Arts Center.